Princeton Tec has taken the smallest light in their product line and made it better, with a flick of a switch. The Pulsar II stays on, so you can free up your hands for other tasks. Like its predecessor, the Pulsar, the Pulsar II can also be illuminated merely by squeezing its compact, lightweight body, or flipping its switch. 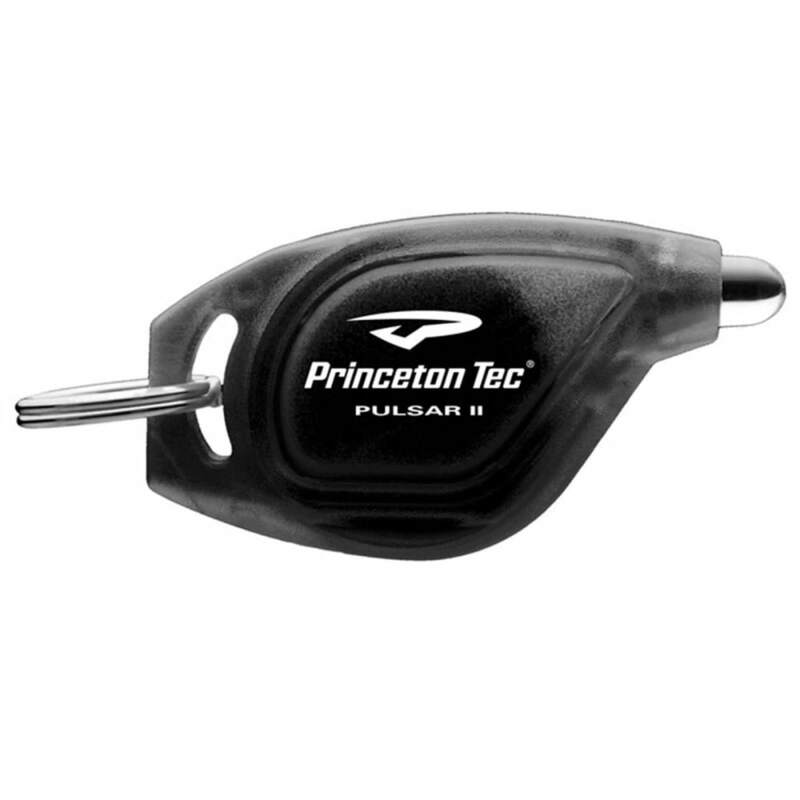 The Pulsar II is helpful on zipper pulls, backpacks, gear bags, and anywhere else you may need some quick light in a pinch. Focused Wide Beam: This beam pattern is an excellent choice for multipurpose activities. At close range, wide beams simulate normal daylight conditions and allow you to take advantage of your peripheral vision. Weight w/ Batteries: 0.25 oz.